The tens of thousands of people who took to the airports and airwaves, to the city streets and social media, to the courtrooms and Capitol Hill in protest of these orders confirmed: we are better than this. As a result, President Trump’s xenophobic agenda has met resistance. As South Asian Americans, we’ve been here before. In those dark days and months following 9/11, our communities were targeted, attacked, and legislated against at unprecedented levels. We cannot let history repeat itself. Never again. As SAALT continues to demand equality, justice, and full inclusion for all Americans, and as we push back against the anti-Muslim, anti-immigrant, anti-American agenda of the Trump administration, we ask you to please stand with us. 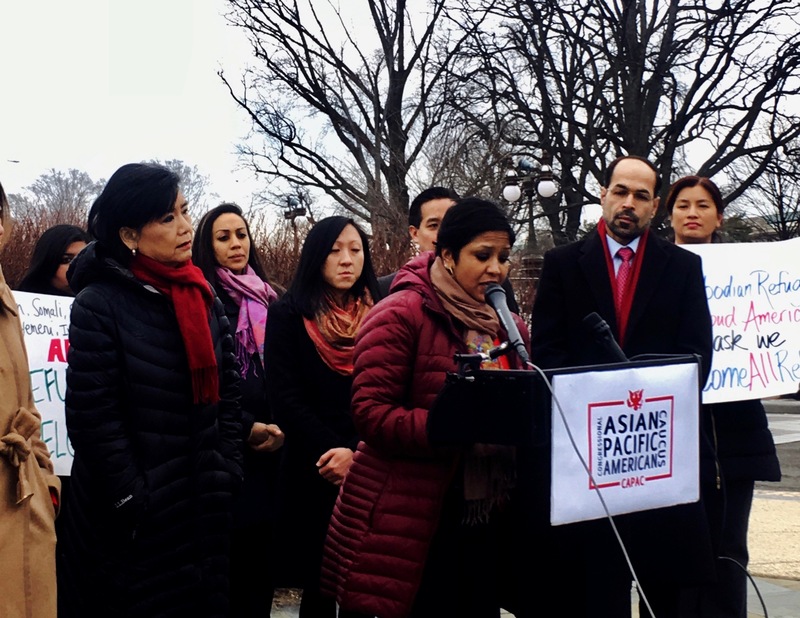 As we continue tracking hate and working with our partners in the National Coalition of South Asian Organizations to demand our rights, we ask you to please stand with us. As we host the 10-year anniversary of the National South Asian Summit in Washington D.C. this April, where hundreds of organizations and activists will come together to build skills, connect with policymakers, and strategize on how to claim our power through collective action, we ask you to please stand with us. As our country continues to change shape and many of you fear that the worst is yet to come, we ask you to please stand with us. We promise you, our best is also yet to come. Support SAALT today.